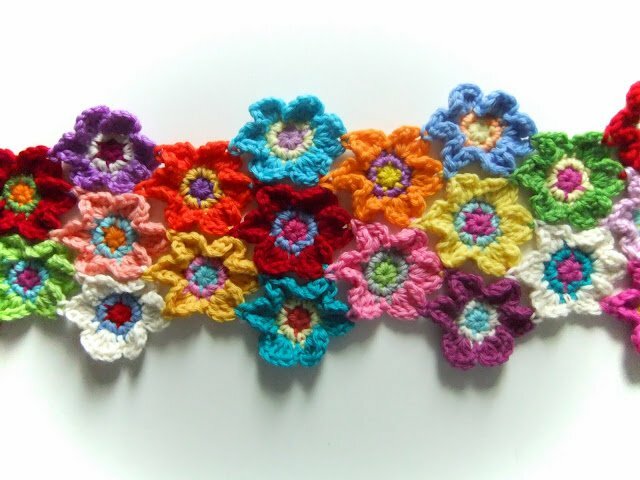 Bright Blooms Flower Scarf – TA DA!! 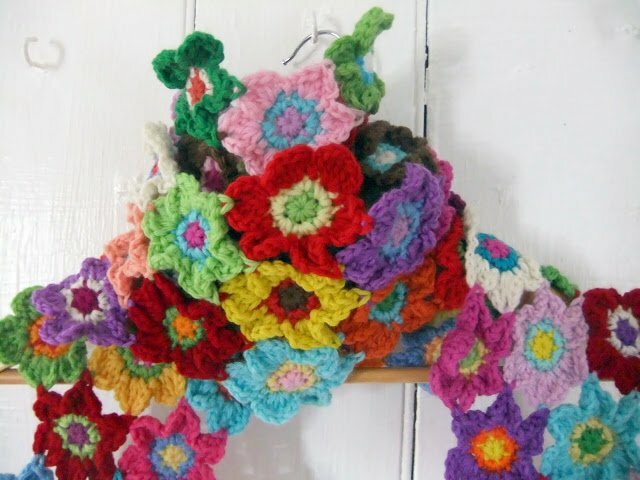 I’ve finished my Autumn Scarf #2 and renamed it Bright Blooms Flower Scarf. I’m so thrilled with it! Its so bright and cheery that I can’t help but smile when I see it. Its the perfect accessory for an otherwise gloomy day. Here it is in progress…. And, Ta Da! Here it is finished…. 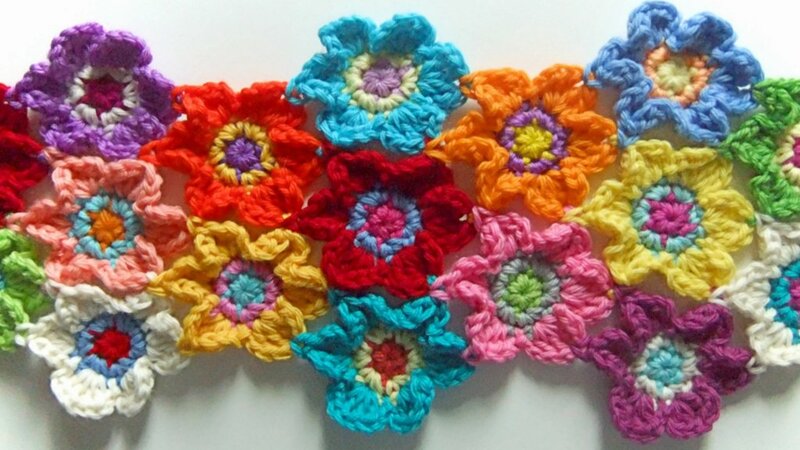 Bright Blooms – TA DA!!! 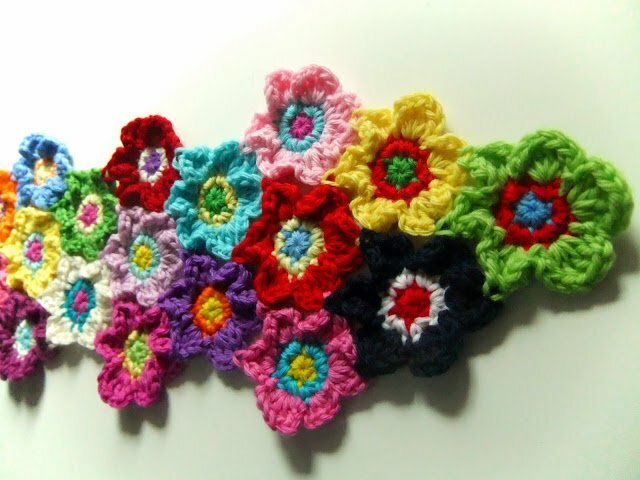 I wanna make a flower scarf! Yarn: Worsted weight in lots of colours. 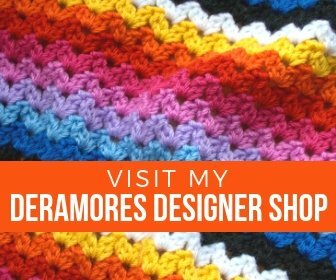 The PDF download is available in either US or UK crochet terminology and is in writtern format. 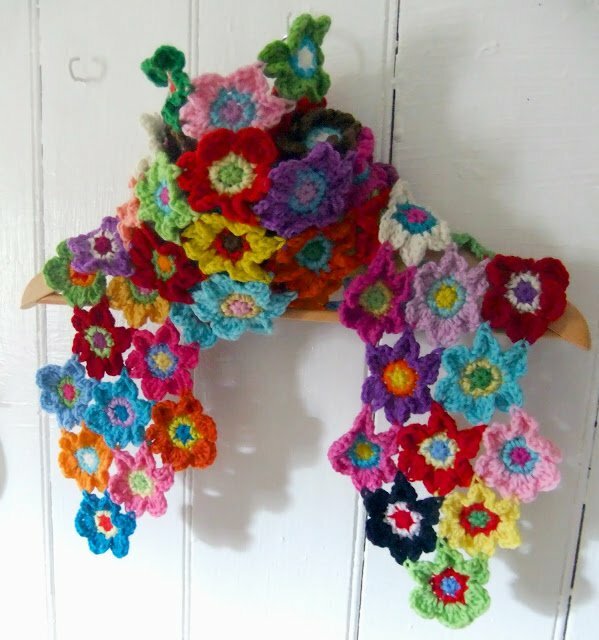 what a beautiful scarf, quick go out now, you don't need an excuse when wearing something as gorgeous as that!!! What a beautiful scarf, I love it.